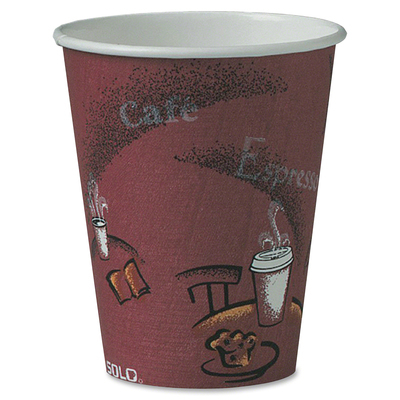 Bistro Paper Hot Cups Are Great For Serving Hot Beverages Like Coffee, Tea Or Cocoa. The Cup Interior Is Lined With Polyethylene That Acts As A Moisture Barrier To Keep Liquid Inside The Cup And Prevent Leaking. Smooth Rolled Rim Gives Rigidity To The Cup And Ensures A Leak-Resistant Lid Fit. One Lid (Sold Separately) Fits Five Cup Sizes (10 Oz. Squat To 24 Oz.) For Operational Efficiency..